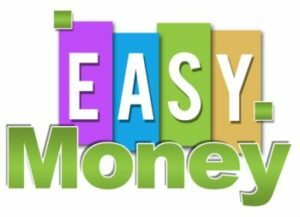 One of the easiest ways to make money online is by buying something for a low price and selling it for a higher price. It is even better when you don’t need to pickup or ship a product. Today I’m going to talk about how to make money online by flipping domain names and how I personally have made tens of thousands of dollars in the past year doing this. There are many places and ways you can purchase domain names. You can purchase unregistered ones through sites like GoDaddy. There are forums where people will gladly try to sell you their domain name (usually though the domains being sold in forums are either crap or the asking price is so high it does not allow you any room to flip the domain). And then there is my favorite way of obtaining domain names, through an online auction at Namejet. Let’s first talk about Namejet and then we’ll talk about how I personally ring the register by flipping domains. Namejet is a domain clearing house (at least that is my term for it). What happens is that people let their domain names expire everyday. Some people just don’t need their domain anymore, some people forget to renew it, some people die, I mean there can be hundreds of reasons why a domain will not be renewed. What the domain registrars want to do is cash in on the domain that someone forgot to renew, so they offer that domain to Namejet to auction it to the general public. Think of it like a storage unit, someone doesn’t make their payment and the storage company hires an auctioneer to come and auction the storage unit to the general public. Namejet is doing this but for domain names. The bid for each domain starts at $69. What I LOVE about Namejet is the process… they let you search through the domains that are coming up for auction 30 days in advance. Whoever places a $69 bid on a domain will be entered into an auction when the 30 days runs out with everyone else who placed a bid. If you are the only bidder than you get the domain for $69. If there are 10 other bidders than there is a closed auction, meaning only you 10 guys can bid now against each other in a 3 day auction with the highest bidder taking the domain when the clock strikes zero. I love this because let’s say there is a great domain and it flies under the radar. If it goes to auction with only 3 or 5 or 7 bidders my chances of winning this domain at a very low price are great. I’ve won domains for $100 which I was able to flip for $2,000. I won a domain for $2,500 which I flipped within 4 months for $7,500. I won a domain for $1,000 which I’ve turned down $5,000 offers on because I think I can get $10,000 for it. The key is to not overpay in order to leave yourself plenty of room to turn a profit when you flip the domain. The first thing you need to do is signup at Namejet in order to get your account (signup is free). You can then use their search functionality to sort through all the upcoming domains for auction. Place bids for $69 on the ones you want to go to auction for. If you bid on 100 different domains for $69 each, and there is 50 bidders for each auction you need to understand you aren’t going to owe any money, you are not committing $6,900 to Namejet. By entering that $69 you are getting an entry into the live bidding when the 30 days expire. Only if you are the ONLY bidder on a domain would you automatically win the domain and owe $69 to Namejet. So what are some strategies to finding great domains to flip? Well, the first is to find quality domains. 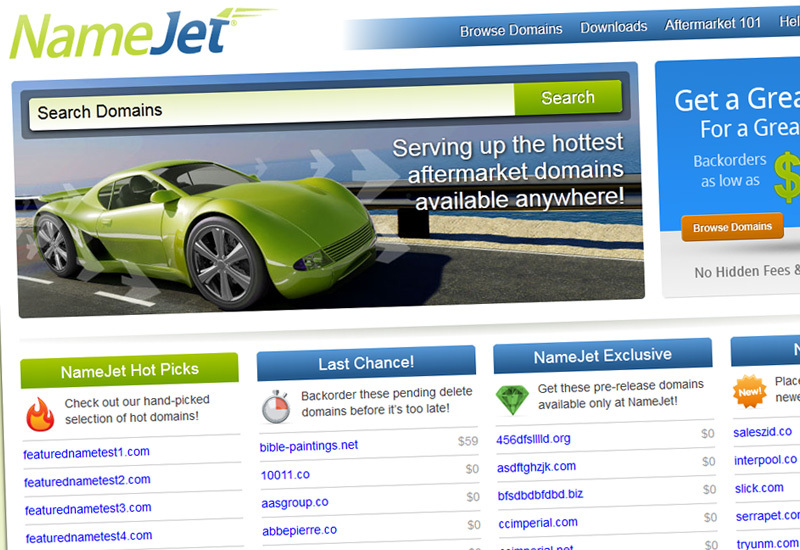 There are some sights that publish a daily list of good upcoming Namejet auctions like here: http://www.tld.org . This is an easy way without having to search to find some great upcoming auctions to bid on. If you have the time you can search Namejet yourself. The key is to making money by flipping domains is to find domains that other people will want. If the 30 day window period just started on a domain (for this example let’s say it was Anticareer.com) you could use Google to search for ‘anticareer’ and ‘anti career’ and see if you can find people who own sites that may be interested in this domain. Email them and ask them if they’d have an interest in purchasing the domain Anticareer.com. If you get some bites you can then go and bid on the domain and if you win it you can flip it right away. Once you get some experience it will be easy for you to spot the domain names which you can quickly and easily flip and you’ll also develop a good feel for what price you should pay to make yourself the amount of profit you want to make. A rule of thumb that I follow is when I purchase a domain name I have to believe that I can flip it for a 100% profit. So if I spend $500 on a domain I need to feel like I can sell it for no less than $1,000. This way, even if I’m wrong in my estimation I still have some room to still turn a profit. And if worse case comes to worse case I’ve sold domains before for a $0 profit (it happens even to the best of us). The only issue I can think of regarding this strategy, is there are far too many “sellers” when you start to share this type of information. Granted, it is not bad information, however, if EVERYONE rushes to namejet and signs up, the only people that really benefit are namejet 😉 The increase in competition means there are more bidders in the pool which will likely increase bid amounts (because the newcomers will not be able to ascertain a “true value” as much as a “pro” flipper would). The result is a lower profit margin as the method becomes saturated. Furthermore, it will be harder and harder to find that “diamond in the rough” because (with broader exposure) you will be less likely to be the “only” person expressing a bidding interest. Therefore, that $69.00 lucky find, default win, becomes a much larger investment, with a far lower margin. Right now there are over 656,000 expiring domains that you can pre-bid on at Namejet. Lots of opportunity there even if more people come. The key is to find those hidden gems and wait until 1 minute before they go off the board (assuming no one has bid on it yet) and then bid. This is the best way to attempt to be the only bidder on a domain and win it for $69. I did this last month, snagged a great domain that no one else found and got it for $69 because I waited until the last moment to place my pre-bid. Flipped it within a week for a little over $1,000. And probably could have gotten more if I sat back and waited 6-12 months, but a bird in the hand… (plus I like to keep turning over inventory and maintaining cash flow). How did you flip it? Did you cold call sell it? Did someone contact you inbound? Thanks for this post. I do good with Adsense and wanted to branch out so I bought 5 domains from Namejet after reading this thread. After the 5 auctions ended I spent $500 total. I contacted 30 people about these domains and after a few bites I was able to sell one of them for $500 so I got my money back and now what I sell the other four for is all profit. The best part about this is that it is not very time consuming. I spent maybe an hour on Namejet. I spent maybe two hours sending out emails. Thanks again! Which method did you use to find buyers and contact them? What about the one you sold…was it by way of email? Joe – there is a part 2 and part 3 of flipping domains on Anticareer. Check them out as they cover what you ask. One big tip is to find a domain that someone can make money with. If you only owned that 1 domain, could you earn a living? This helps you focus on the top 1% of domains and ignore the junk that you will struggle to resell. You must get this right because domaining can bankrupt you fast if you buy the wrong domains. Godaddy is also great for grabbing expiring domains for much less. Hi Thanks for your article! I’m new to flipping domain. Like other newbie there are lots of questions that comes out to my mind. When I read your article, the first questions pops up to my mind is.. how to find the buyer for the domain? I have a lists of good domains that I keep. Actually, I have a .info name and the .com of its version is sold at afternic at $16,000. I never thought that the .com of my .info domain has sold that high. I heard lots of .info domain has been sold quite a little, now my problem is how do I sell my .info domain? I was left confused with domain marketplace like sedo, afternic, and others. I want my domain sold like others did on their .info domain. Has any of you can help me? Anyway, my domain was registered 2 – 3 weeks from now and domain is about selling ” ” online. Hope to hear back from a pro..
My question is how long after the initial bid does it take for Namejet to push the domain to auction? I’ve waited a few days now with the domain in my backorder, am I just impatient or am I doing something wrong? When you backorder the domain it will say how long you have to place your bid in. Let’s say it says 25 days. 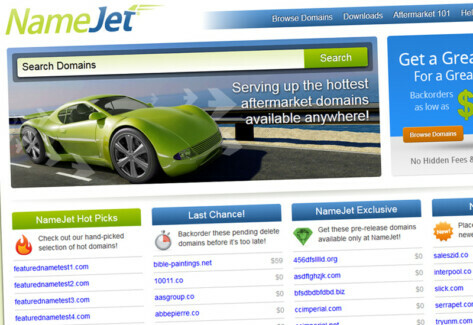 If the domain is from one of Namejet’s partners then the auction will start in 2-3 days. If this is an expiring domain and Namejet has to catch it there is a chance they won’t catch it in which case it won’t go to auction at Namejet. If they do catch it then 2-3 days before the auction starts. If I got you right, Are you saying that the people that I should mail is the people that has similar domain like anticareer? that is I should mail the owner of goodfood asking the owner if he/she will be interested to buy good food.com? Yes, that is a good place to start when trying to sell a domain name. Honestly, domain flipping is one of my most successful channels of income when it comes to the internet marketing world. It’s also one of the easiest in my opinion. What would take me hours to research I have actually now fine tuned down to minutes using a software that does it for me. « Google Tells You to do One Thing, but it is OK if they do the Opposite?